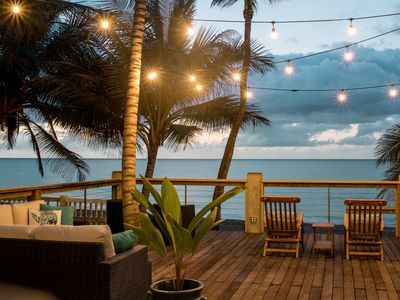 Embrace tropical luxury and natural wonders in a Caribbean resort setting with spectacular golf, a beautiful spa at the St Regis hotel, and delightful dining. 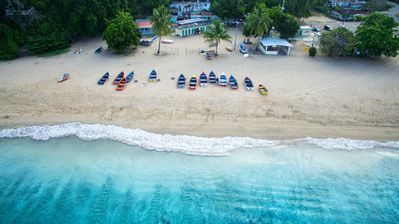 Bahia Beach Resort is located seaside, on the northeastern corridor of the island of Puerto Rico, at the foot of the El Yunque National Forest. 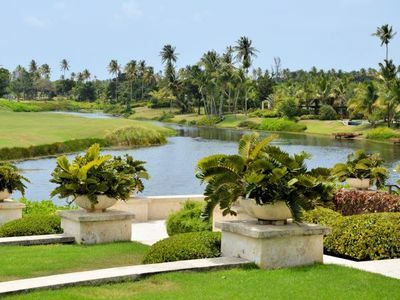 The resort is bordered by the 5,000 acre Espíritu Santo River State Preserve and is a 30 minute drive from Old San Juan, a 500 year-old Caribbean treasure. The El Yunque National Forest, a 28,000 acre preserve, is the only tropical rainforest on U.S. soil and was established as a National Park in 1906. More than 100 billion gallons of rain fall here each year, creating a lush forest with plants and animals of incredible variety. Plant life is represented with over 240 species of trees, 50 species of ferns, 20 varieties of wild orchids and a multitude of flowers. Puerto Rico's only navigable river, the Espíritu Santo, runs along the resort and features a plethora of plant and animal life, including mangroves and many species of birds. Staff naturalists guide bird-watching on more than seven miles of nature trails and kayak outings on the 63 acres of canals, ponds and lakes on the resort's grounds. Also nearby is the extraordinary Fajardo Bioluminescent Bay where nighttime kayaking is a favorite adventure. Bahia Beach Resort was designed with the entire family in mind. Guests will discover a variety of extraordinary services and activities to keep everyone entertained, from sunrise to sunset. From pampering treatments in the indoor/outdoor Spa to games at the Iguana Kids Club—for little explorers ages 5 to 12 years—there is always something to look forward to. The condo has 3 bedrooms- one king bed and two queen bed. Fully equipped kitchen with granite counter tops and stainless steel appliances. 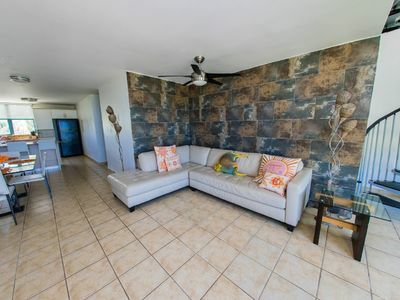 Living room and dining room area with a beautiful outdoor terrace, furnished to enjoy a nice tropical drink while observing the beautiful landscape. 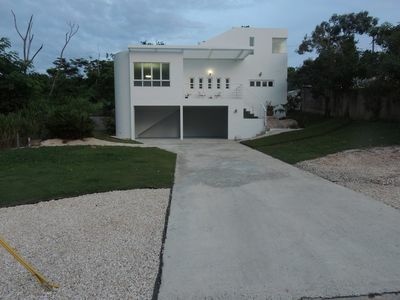 The condo is located right by Las Verandas pool, playground for children and the boat house. Golfers of all abilities can experience the game on a stunning Robert Trent Jones Jr. course designed with a commitment to preserving the natural integrity of the site. 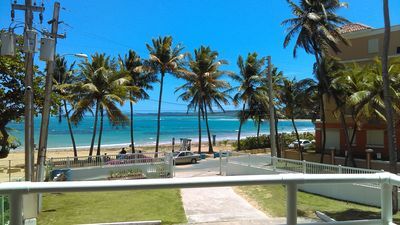 AMAZING BEACHFRONT PARADISE IN LUQUILLO BEACH ONE OF THE BEST IN THE ISLAND.